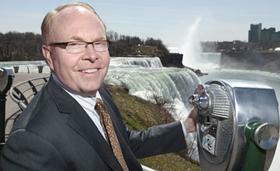 NIAGARA FALLS – The Culinary Institute Niagara Falls has hosted hundreds of college students and a bevy of politicians since its ribbon-cutting last month. Now, the doors swing open to the public with the staggered debuts of the institute’s student-run deli, bakery, fine dining restaurant and wine boutique. La Patisserie, the bakery, opens Monday, followed by the The Wine Boutique on Oct. 26 and Savor, the gourmet restaurant later. Niagara County will host a center whose employees will work with small businesses to help them win federal contracts, officials announced Thursday. The World Trade Center Buffalo Niagara has received a nearly $300,000 federal grant to establish the Niagara Procurement Technical Assistance Center at Niagara University. It will provide mentoring, training and technical assistance to help small businesses – particularly those owned by women, veterans or people of color – win contracts from the Defense Department and General Services Administration. 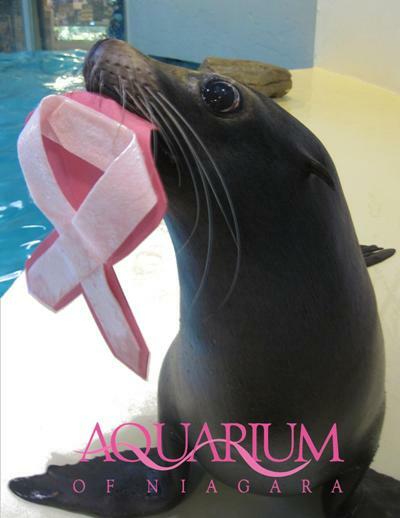 The Aquarium of Niagara’s oldest sea lion “Diamond” shows her support for breast cancer awareness! Diamond is twenty five years old, and was born at the Mystic Aquarium in Connecticut. She has been part of the Aquarium’s sea lion family since she was only two years old. If you haven’t already – be sure to “like” the Aquarium of Niagara on Facebook! Niagara Gazette — With the one-day spectacle that was Nik Wallenda’s wire walk from Terrapin Point to Table Rock complete, the question on most minds is how can the region capitalize long term?